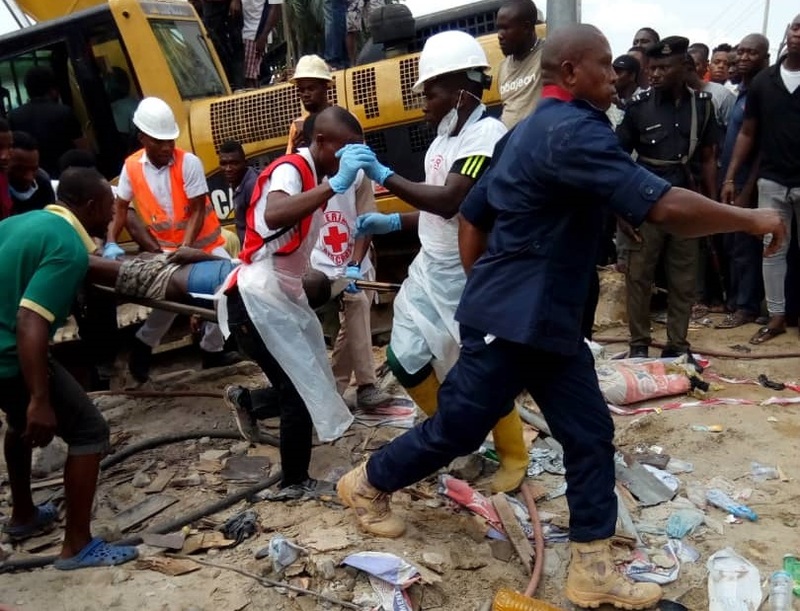 Members of the Nzuko Obodoukwu clan in Imo State have held a rally to call for better resources to aid the rescue of people still trapped in the rubble of the seven-storey building that collapsed in Rivers State more than one week ago. Members of the clan expressed dissatisfaction with the slow rate of work recorded by the evacuation team, adding that one of their family members is trapped in the building. President of the clan, Benjamin Obidegwu, stated that the clan had assisted with the evacuation, and expressed sadness that hopes of rescuing others trapped under the rubble is fading. Obidiegwu also disclosed that a brother of one of the victims had to buy diesel for the evacuation team to aid the rescue process. Ejike lamented the lack of adequate manpower in carrying out their operations, adding that the rescue team had to work with the assistance of collaborators.